What would you consider your home or business’ largest asset? Is it the siding that beautifies your house? Is it the covered walkway that allows customers to enter without being drenched by summer downpours? Chances are good you’re actually overlooking the largest asset you have – your roof. Roofs are the most important structural element of a building, whether that’s a commercial enterprise or a residential home. If you’re not maintaining that roof, you’re putting that asset in jeopardy. For most of us (both homeowners and business owners), the roof isn’t something we think about on a regular basis. It is “out of sight, out of mind”, as the old saying goes. However, that’s the wrong stance to take. You need to think about roof maintenance, and you need to do it now. Failure to properly maintain your roof can lead to some very, very serious problems and significant costs. Not investing in regular roof maintenance can put you in danger of roof leaks, as well as water/moisture buildup that leads to rot and deterioration of the roofing system’s substructure and even the frame of the building. This type of damage requires extensive repairs and can come at a very high price. In addition, water leaks can be very difficult to spot – prevention is always the better option. From debris on the roof to clogged drains and damage from wind, hail and strong winds, your roof faces myriad threats every day of the year. We can provide you with peace of mind and the ability to maintain your roof correctly. 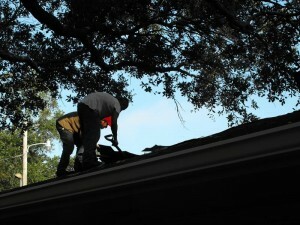 JOI Roofing is proud to offer a full maintenance program for New Orleans businesses. This ensures that your building’s roof remains in good condition for as long as possible, and also ensures that problems are spotted and dealt with long before they become massive headaches. However, we also provide an extensive range of services for New Orleans homeowners. Our 24-hour hotline for emergency repairs is always open, and we can repair or replace any type of roofing system or material you might have. When it comes to your roof, there is no better option than taking a proactive stance toward maintenance. Contact JOI Roofing today to find out more about your options and how we can help ensure that your roof stands the test of time, or click here to read more about our maintenance and repair programs.